What Does It Take To Inspire A Community? For Bryan Stewart, it began with his exposure to a compelling vision that supported an urgent, life-saving mission: to help many more people benefit from the gift of organ, eye, and tissue donation. 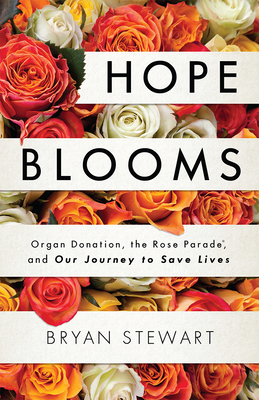 HOPE BLOOMS: Organ Donation, the Rose Parade, and Our Journey to Save Lives--Stewart's 12-year account of the genesis, evolution, and institution of Donate Life's float participation in America's New Year Celebration(R)--introduces readers to the people, events, and moments of joy, heartbreak, and grace that helped position the cause as life-affirming and contribute to dramatic increases in the public's willingness to donate. Through insightful and emotional anecdotes illuminating the challenges and rewards of building a national public health campaign around one of the world's premier live events, Stewart imparts the value of inspiration, authenticity, ingenuity, and perseverance as guideposts for leading people, organizations, and causes.